Clogged ear is a general term that refers to a fullness sensation in the ears, in some cases accompanied by some levels of discomfort or even pain. There’s a myriad of reasons why ears get clogged depending on what symptoms combination you might have and what actions preceded ear congestion. This article will discuss both common and somewhat less obvious reasons why ears get clogged< and provide some useful tips on how to deal with them. 1. Excessive ear wax build up tops our list for ear congestion causes that make you feel ear pressure and mild discomfort. This simple ear wax removal home remedy utilizes just a few ingredients but is a very effective and inexpensive way to soften and remove hardened ear wax from the ear canal. Mix equal parts of warm water and hydrogen peroxide, lie down with the affected ear facing up and instill about a teaspoon of this solution in the ear canal. Remain still for a few minutes to let the remedy soften excessive ear wax; sit up to let the water run out, repeat if necessary. Dry your ear by putting a few drops of rubbing alcohol inside to have the remaining water evaporate. 2. Eustachian tube blockage caused by chronic ear infection is another serious reason why ears get clogged. Eustachian tube’s main purpose is to regulate air pressure and to drain fluids from the middle ear. Recurring ear infections create chronic inflammation within Eustachian tubes causing them to open and close erratically. 3. Airplane, elevator rides or swimming under water causes sudden air pressure changes inside our ears resulting in a feeling of clogged ears. Yawning, blowing your nose or sucking on a piece of candy work beautifully for some people to relieve pressure and a sense of fullness. 4. Swimmers ear results in inflammation of the outer ear canal that can manifest itself in red, itchy and swollen lining of the ear canal, sometimes with fluid drainage caused most often by swimming in polluted lakes, rivers or pools and when water is not properly drained from the ear. This also answers the question why ears get clogged. 5. Trivial upper respiratory infections cause fluid retention in the middle ear and inflammation of the nose and ear tissues resulting in clogged, itchy ears with sometimes muffled hearing. 6. Hay fever, allergenic rhinitis and environmental toxins are also the reasons why ears get clogged. Figuring out the root cause for your allergies will help you subsequently cope with your clogged ears. 7. In rare cases, acoustic neuroma or tumor surrounding your acoustic nerve can make you experience ear fullness and discomfort. Hearing loss is also an accompanying symptom for this condition. 8. The most often overlooked reason why ears get clogged is muscle tension that can simply be relieved by a good neck and shoulder massage. When our muscles are all knots, this causes improper fluid drainage from the middle ear. A visit to your local chiropractor, surprisingly, will bring much needed relief to your clogged ears. 9. 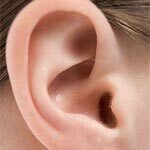 If you experience some sharp pains or weird sensation inside your ear, a foreign body object might be to blame like an insect or other type of debris. Head straight to the doctor’s office as it’s dangerous to extract anything out of the ear at home. 10. Barotrauma is rare but a possible scenario of damage to the ears caused by sudden jump in the pressure while diving, airplane rides or driving in the mountains. If your fullness in the ear does not subside within a day, definitely have an experienced ENT specialist examine you for a possible barotrauma condition.